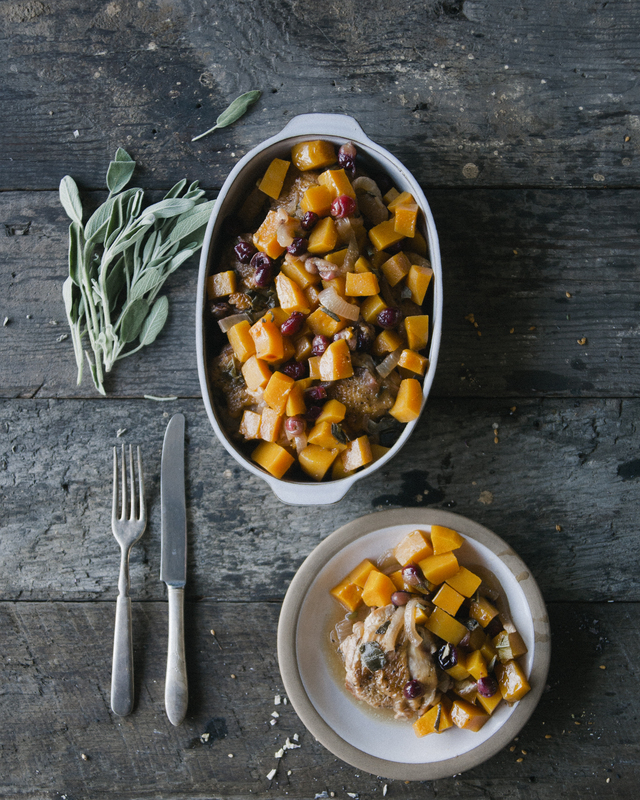 This mouth watering, one pot wonder has the perfect combination of sweet and savory and is topped with a slight tartness from cranberries, another superfood sensation. Slowly braising the chicken leaves a delightful aroma in the kitchen and a moist and tender chicken dish all will enjoy on a lovely winter day. In large dutch oven, heat coconut oil. Add chicken thighs and brown on each side. 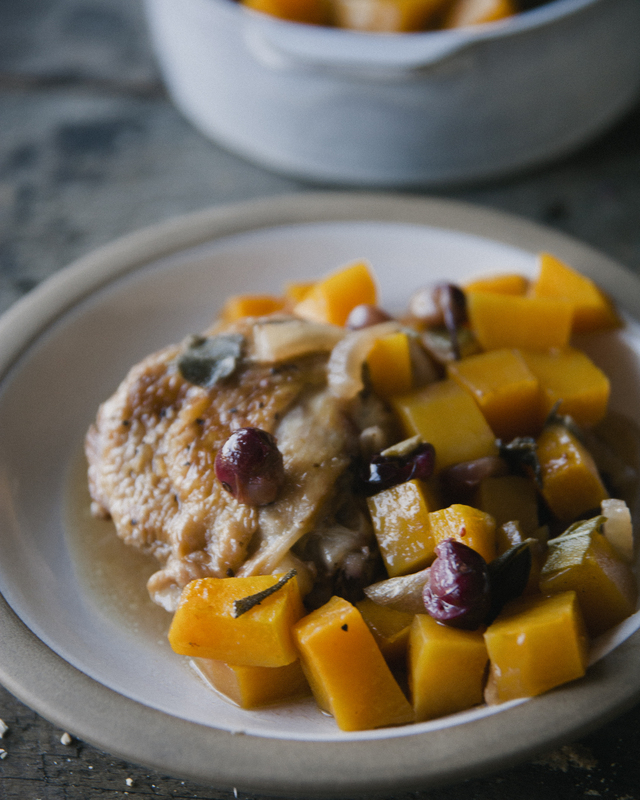 Once browned, remove chicken from pot and place on a plate. Add onions to the pan and gently saute. Add apple cider vinegar to pot, followed by chicken or vegetable broth. Add 1/2 teaspoon salt. 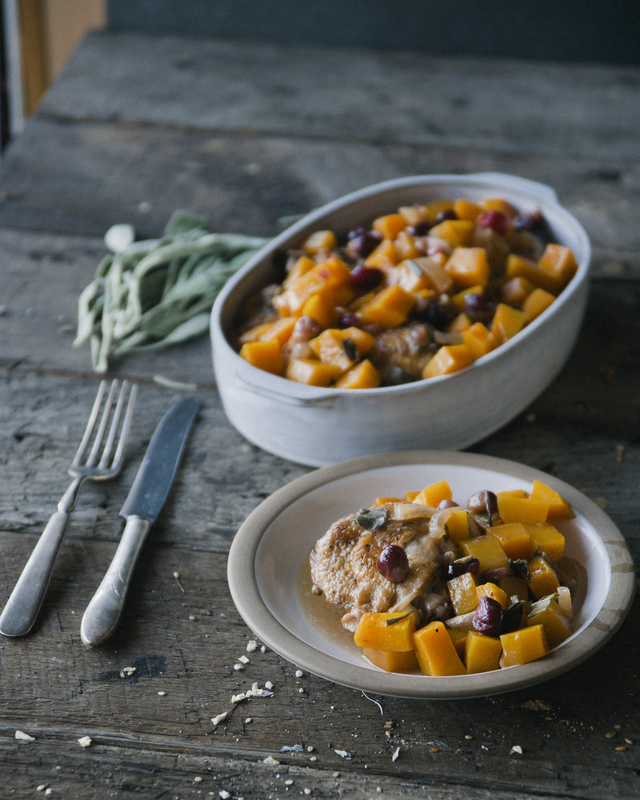 Return chicken thighs to the pan, and place butternut squash and cranberries over chicken. Sprinkle chopped sage on top. Cover the pot and allow to simmer over medium/low heat for thirty minutes. Remove pan from heat. Allow chicken and vegetables to cool uncovered. This entry was posted in dinner, event, Uncategorized and tagged apple cider vinegar, braised chicken, Braised Chicken with Cranberries and Butternut Squash, broth, butternut squash, chicken, cooking, cranberries, dairy free, delicious, events, favorite, gluten free, grain free, holidays, meal, paleo, refined sugar free, sage, savory, sweet, sweet laurel, vegetables, warm, winter on December 9, 2016 by sweetlaurel.